Vacation Barefoot Travel Blog: Buy the Westin "Heavenly Bed"
Buy the Westin "Heavenly Bed"
Fans of Westin Hotels might be excited by this news. The very same "Heavenly Bed" the Westin uses can now be purchased via Pottery Barn! The luxury bed was introduced in 1999 and helped to re-brand the chain into a sleepers paradise. Starting December 28th, 2011, you'll be able to find the bed for sale on the Pottery Barn website. Come January 2012 you'll start seeing the high-end beds in the 192 stores Pottery Barn has spread out of the states. The Heavenly Bed comes in sizes from twin to California king. Prices will range from about $1,200 to $1,800. 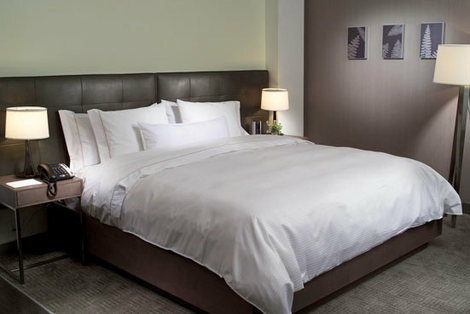 The Westin Heavenly mattress with its unique pillow-top design, provides the foundation for deep, calming sleep, while plush goose-down pillows, crisp cotton sheets, a cozy down blanket and fluffy duvet wrap you in comfort. If you can't afford the entire bed you can always snag up a Westin Heavenly Pillow for $35 bucks over on Amazon.com - Westin Heavenly® HypoAllergenic Pillow - Standard or a Westin Heavenly mattress pad for $110 - Westin Heavenly® Mattress Pad - Queen 60 x 80.